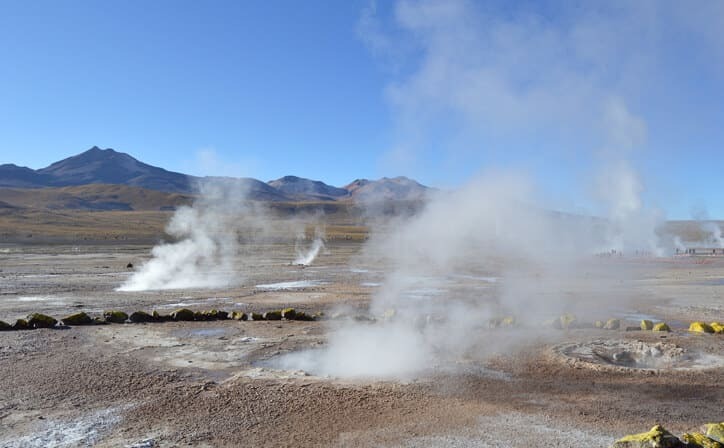 A memorable trip to Atacama, Chile including rainbow valley & tatio geysers. Arrive at CALAMA airport. 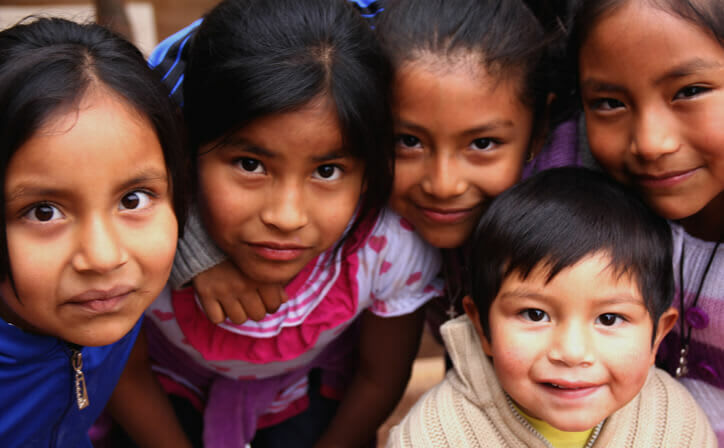 Meet your Manoyatra representative and we transfer you to hotel in San Pedro de Atacama. The Moon Valley and the death Valley are characterized by its mountains and sand reliefs. Here are hundreds of tourists to observe the sunset in the middle of the Atacama desert. We will pick up in your hotel in San Pedro of Atacama at 14:30 approximately and we are going to travel to the Salt Mountains. In the road we turn to know the route from where is carrying the sulphur from San Pedro of Atacama. Then we pass through the Valley of the dinosaurs and the death Valley, to see a spectacular panoramic view of the Atacama desert. Continue on route to Moon Valley , where there are geological formations that are the result of successive folding of the Earth's crust. During the sunset, the mountains are painted of gold colors and reddish. 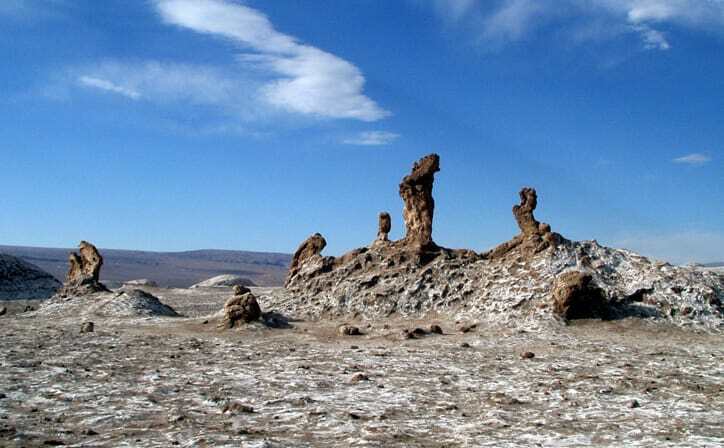 There we will visit the salt sculpture known as Las Tres Marias, the old salt fields, the mysterious caves and the great Dune. 19:15 hours: we will be back in your hotel. Enjoy your breakfast and then proceed for Full day tour to know different landscapes in San Pedro de Atacama. We will visit Red Rocks in the Salar de Aguas Calientes and the Altiplánicas lagoons at more than 4,000 masl. 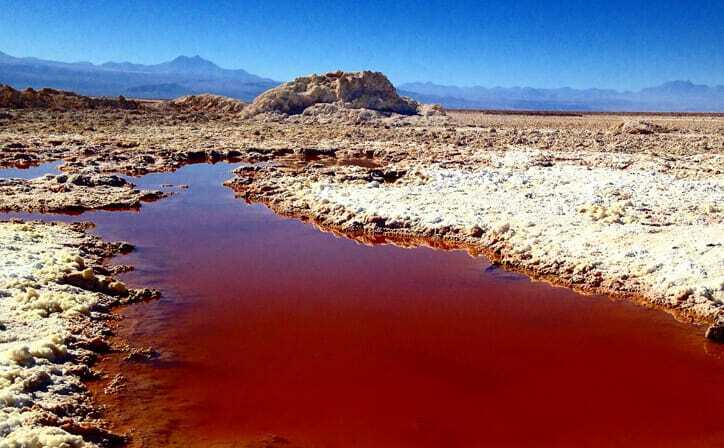 We then have lunch in the town of Socaire and finish in the Salar de Atacama, one of the most important points of the National Reserve Los Flamencos. 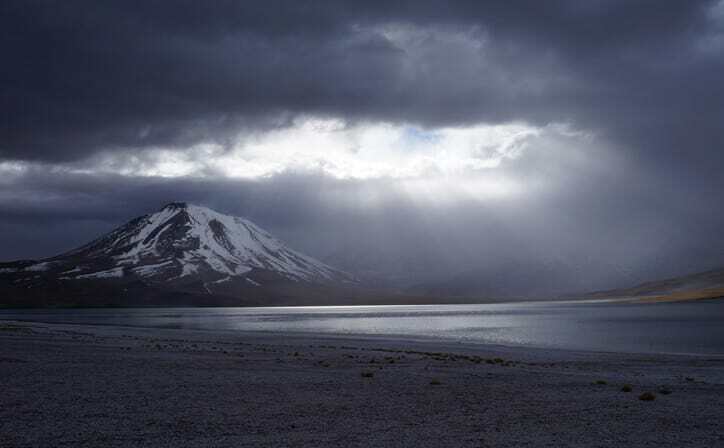 Then we head towards the high plateau lagoons to visit Miscanti and Miñiques at more than 4,200 masl, which are surrounded by imposing volcanoes originated by the elevation of the Andes mountain range. They are habitat of a great variety of birds that arrive at its waters. 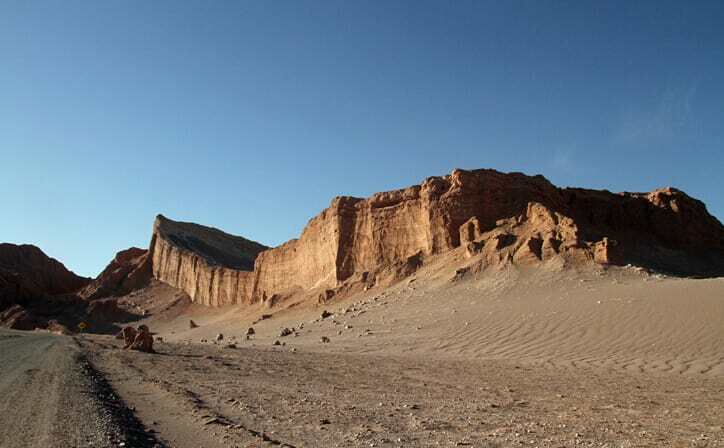 Then we are going to descend and reach Socaire, a typical Andean village of the Atacama desert. Later after lunch, We will follow the route to the Salar de Ataxcama, where we visit the Chaxa Lagoon, a scene of spectacular beauty that is divided into several mirrors of water where a large number of flamingos and other birds live as large and small parties. Finally, we have a visit to Toconao, a town with typical colonial architecture, with its bell tower, declared National Monument and the church of San Lucas. 17:00: End of the tour and return to the hotel in San Pedro de Atacama. After breakfast we leave from your hotel in San Pedro de Atacama at approximately 8:00 and we will go to the Domeyko Mountain Range to visit the sector of Yerbas Buenas. There we will stop to observe one of the most important groups of petroglyphs of the region of Antofagasta. Then we continue in the direction of the Rainbow Valley, named for the different colors given by the minerals in its mountains. We take a short hike to enjoy the scenery and continue to Rio Grande, a town that seems to have been frozen in time. 13:30: We are back at your hotel. Later in the evening after your dinner, We leave from your hotel at 21:00 hours and go to the Atacama Desert. We will begin our astronomical tour observing the skies using a green laser to signal the stars and explain the constellations, the rotation of the sky and the way it changes in relation to the latitude. Then we will go to the telescopes to observe different types of nebulae and clusters of stars. Finish the tour sharing hot chocolate. 00.00 hours: We will return to your hotel. After breakfast enjoy morning leisure and then we proceed o Puritama hotsprings. Rest of the day is free to explore around on your own. Departure from your hotel in San Pedro de Atacama at 5:00 am approximately and will begin to climb by the Chilean altiplano to reach the Geysers of Tatio, the highest geometric field of the world. Arrive to this place shortly before 7:00 am, when the fumaroles of steam emerge with more force, reaching temperatures on them 85°C. After watching this show, we will start the descent towards San Pedro de Atacama. In the road we will pass through Machuca which is a village of 20 houses and a church that opens for the tourists. 13.30: Return to your hotel. Relax a bit and then we transfer you to Calama airport for your onward journey. Chile’s Atacama Desert is the driest place on Earth. For landscape photographers – and idle dreamers – the setting is inspiring, with wind-sculpted canyons and salt lakes providing a backdrop that not only looks Martian but is actually used to test Mars rovers in simulations. The Atacama Desert is a plateau in South America, covering a 1000-km strip of land on the Pacific coast, west of the Andes mountains.San Pedro itself, 106km southeast of Calama via paved Chile 23, is quite small, but it attracts hordes of travelers. Despite the high prices and tourist-agency touts, there's undeniable allure to this desert village with its picturesque adobe streets, laid-back residents and music-filled eateries. ○ Geysers del Tatio / breakfast. ○ Ticket of entrance to the places mentioned. 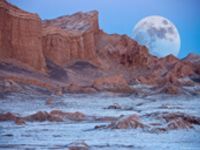 Don't you want to explore places like you have never before- Moon valley an exciting excursion from San Pedro de Atacama. Marvel at sharp peaks, undulating sand dunes and rugged caverns as you journey through one of the driest and most diverse deserts on earth. 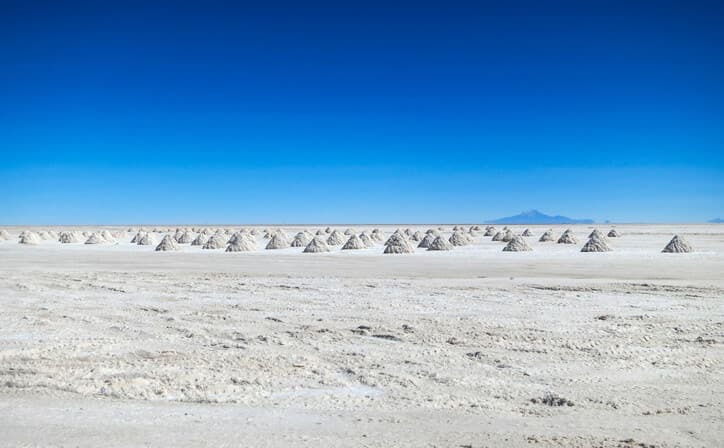 Salt Flat of Soncor; observe fabulous flocks of brightly colored flamingos in Los Flamenco National Park; and explore the luscious lagoons of Miscanti and Miniques. And what to say about stargazing the best among all the realisation of self and the peace which you will get there. What is the best time to visit Atacama?